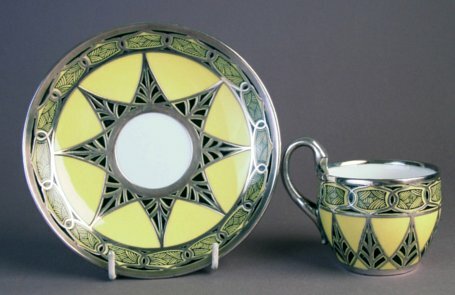 Description: Meissen cup and saucer highlighted in silver on a yellow ground. Mark Info: Crossed swords in underglaze blue on both cup and saucer. Impressed 158 and 723 to saucer. Impressed 723 to cup.